The Future of Work – Who will lead? For those of you who've been close to the volatile world of HR Outsourcing, since it leapt into life in 1999 when BP and Exult tied the knot with "E-Enabled HR" (ahem) - there haven't been too many constants. I can barely recollect all the providers which dipped their toe in the market before either running for the exits kicking and screaming, or selling off dismally-performing business units. I can also barely recall the number of people who came, saw, conquered, and subsequently disappeared from the face of the earth, after dabbling in one of the most contentious areas of outsourcing we've witnessed to-date. I also struggle to remember the number of executives whose careers were either made or broken by doubling-down on that wonderful HRO value-proposition. However, one face that has been ever-truly consistent - and constantly smiling - during this entire roller-coaster of HR navel-gazing... has been Keith Strodtman, who has been the face of global HRO provider Ceridian through so much of this market volatility. For the past several years I have been thinking a lot about the future of work. Then, when Phil Fersht and I started talking about me joining the HfS Research team as a Research Fellow, I figured this was a great opportunity to start a bigger conversation on the topic and its impact on HR departments, service providers, and employers more broadly. While most of us frequently think about the future, for me, I never really sat back and thought, beyond the obvious, about how or why the world of work was changing. That changed in 2004 when we invited Thomas W. Malone, the Patrick J. McGovern Professor of Management at the MIT Sloan School of Management to give a presentation on the Future of Work at a customer forum. Tom had just released his new book, The Future of Work, which examines the how new technologies enable companies to unleash the creativity and innovation of the people in their organization. The key technology outcome that Malone was talking about is the falling cost of communication. Just as the lower cost of communication, think the printing press, helped enable the development of decentralized, democratic governments and markets over the past few centuries; today’s technology is lowering the cost of communication and collaboration in business. Companies are deploying technology that makes it easier for employees, customers, and partners to share information and ideas. Just sharing ideas and information will not produce success. Companies must organize effectively to capture the innovations that come from the improved flow of information and ideas. They must enable workers to make important decisions, respond to customers, and quickly develop products that meet customer needs. Malone argues that a more decentralized organization, or at least decentralized decision-making, supported by technology, is better able to do respond to customers needs more quickly. It seems like a logical argument to me and there are good examples of companies who are doing this today. Everywhere we go lately, we encounter Outsource Magazine editor Jamie Liddell, as the newly-launched publication looks to get serious in the US and European markets. Most recently, we saw him at SIG's summit on Amelia Island in Florida, where he successfully flooded the event with copies of his publication before disappearing to the bar, where the real business was conducted. I, personally, have enjoyed reading Jamie's stuff over the years - he's one of the few commentators in our industry who injects personality and humor into his craft, and avoids the dry, passionless, jargon-laden and nauseating verbiage to which we are so often subjected. So, we're happy to announce that we'll be seeing even more of each other now: HfS and Outsource Magazine have formed a research-media partnership. We probably agreed to some other stuff as well, but these are the main things. We watched this little movie during the "HfS 25" get-together this week in Dallas... sometimes we have to think a bit more laterally about motivating staff - it's not only about metrics and money. Enjoy. 4) And (heaven forbid) try and do some business. If you can achieve a smattering of these elements, you might actually return home thinking "that wasn't such a waste of time and money, now, was it?" We're going to release our 2011 Finance and Accounting Outsourcing (FAO) industry landscape next week, and one dynamic that has really stood-out over the last three years, is the different competitive strategies going on at the high-end of the market versus the smaller engagements. Most striking, are the divergent strategies of the market leaders, Accenture and IBM. While Accenture has consolidated its commanding presence with the large-scale enterprise customers, IBM has determinedly gone after the mid-market. Scaling a global BPO business based on multiple small client engagements is wearing on resources – and profit margins, and the providers scrapping for their share of the smaller business, are faced with a simple choice: Either stick with it and view this as a 10-year journey, or if you simply don’t have the patience or appetite to put in the investment, then get out and refocus your services on other activities. For those who stay the course (and we expect most will), they need to keep putting in the grind to win small engagements, and attempt to scale their BPO delivery resources, while trying to turn some sort of profit. Our deeper-dive analysis shows that exactly this scenario is happening with several providers over the last three years. Let's contrast both the enterprise-level market performances (engagements over $25m in TCV) and the mid-market (engagements below $25m TCV). Accenture has developed a commanding position with enterprise engagements, while IBM has gained a lot of ground winning smaller-scale and mid-market clients. As these market share graphs illustrate, all the FAO engagements signed since the beginning of 2008 that have a Total Contract Value (TCV) of more than $25 million, dominate 80% of the total market, with a total expenditure of close to $8 billion. Accenture has been dominant in retaining and developing its client base of enterprise-level engagements, with Capgemini, IBM and Genpact providing the main competition with enterprise-level engagements. New HfS Report: "How Latin America Powers Global IT Delivery"
Latin America really is emerging as a nearshore powerhouse for both IT services and BPO, and we thought it high-time an analyst firm actually took a close-up look at the region. The result is a broad-ranging study, the results of which were distributed by Softtek today. Discover how Latin America Powers Global IT Delivery: Download the report now. 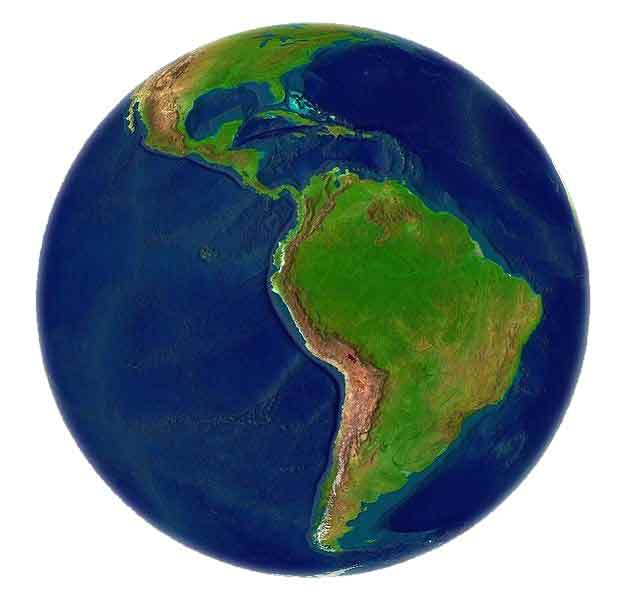 Global IT delivery strategies more frequently include Latin America: The power of a well-crafted global delivery strategy lies beyond labor arbitrage and low-cost offshoring from India. Although most projects featuring a global delivery strategy stick to application development work, there are opportunities for more advanced relationships beyond staff augmentation and software engineering services. New remote infrastructure management offerings and service offerings that focus on niche areas of application expertise now see global delivery locations spread beyond India into Latin America. The region is vast and offers the ingredients to make any nearshore move successful: it has a thriving technology economy, it brings competitive software development rates, it can demonstrate industry innovation, and with vast human capital it has the potential to scale. SourceCorp + HOVS Services: A response to shifting client needs, or a competitive reaction to the Xerox/ACS Merger? HOVS + SourceCorp... making trouble for Xerox? SourceCorp and HOVS Services are two companies that rarely make the news. These are blue collar outsourcing organizations who have each been in the marketplace for over 20 years with deep specialization in backoffice transaction processing and document management automation. However, the announced merger of two competitors into a new entity with combined revenues of almost $500m, a strong positive cash flow, 14,200 employees, and a combined customer segment of half the Fortune 50 is intriguing for several reasons. Have no doubts – this merger is all about synergies, just as we said about the Patni –iGate merger. These are two remarkably similar organizations operating remarkably similar businesses, but with very few shared customers. 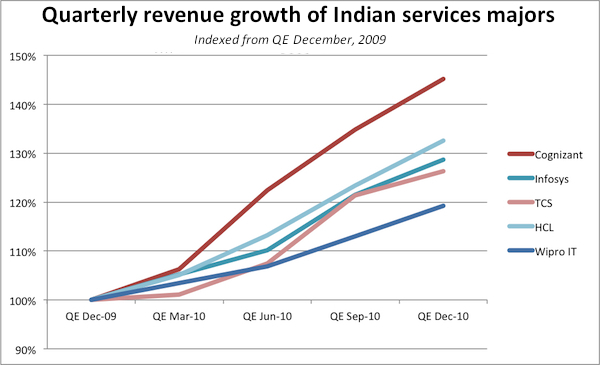 There is plenty of opportunity to improve profitability of the combined entity. However, for the merger to be successful in the eyes of current and potential customers, the combined organization has to not only eliminate administrative redundancies, it has to rationalize its core transaction processing technologies in a manner that will improve the value of its clients. From a competition perspective, this merger accomplishes two marketplace changes. First, it eliminates a tough competitor with a similar approach and cost structure. Second, it creates a $500m competitor to Xerox/ACS (itself dealing with post-merger headaches), Accenture and IBM, but with a simpler story to tell, as SourceCorp+HOVS is an accomplished pure play BPO provider and doesn’t have to talk about copy machines, consulting, or software. Importantly, the combined entity earns 27% of its earnings from the healthcare sector, making it a formidable provider for clients to consider. Also, the organization has almost 100 US domestic locations, which is a considerable footprint for regulated clients or clients that need a vendor located close to their operations. HfS Research VP of Marketing Mark Reed-Edwards got together with HfS Founder and CEO Phil Fersht and Dawn Evans, President and CEO of Sourcing Interests Group, to discuss the new groundbreaking industry research and networking partnership announced on March 8. You can also read more about the HfS/SIG partnership here. In Part I of our interview with Francisco D'Souza, President and CEO of Cognizant, we discussed the rampant growth Cognizant has experienced, the global economic environment as we emerge from the Recession, and Frank's point of view on the Cloud and the sourcing industry. HfS Research: Frank – tell us a bit about yourself and your upbringing and how you ended up leading a $4.6 billion global corporation? Did you imagine you’d wind up doing something like this? Francisco D'Souza: After finishing my graduate work at Carnegie Mellon University, I took a job as a management associate with Dun & Bradstreet. Early on, I was presented with an opportunity to work with a team to build D&B’s first IT captive in India. I jumped at the opportunity. In 1994, that captive was spun off in to Cognizant and the rest, as they say, is history. I can tell you with a great deal of certainty that I never imagined running a $4.6 billion business! On the contrary, I just focused on doing things along the way that I enjoyed and which provided me opportunities to grow and learn. The rest just happened… I also have to say that we have the best team in the industry at Cognizant and my achievements are a reflection of their work; it was by no means an individual effort. HfS Research: If you had your time again, would you choose the same path? If you weren’t a techno-preneur what would you choose to be doing? Francisco D'Souza: I am incredibly happy with where I am today and Cognizant’s trajectory for the future; it is impossible to look back and wish I had taken a different path. But, if I had to do anything else in life I would have wanted to be an inventor. I am overwhelmed by the power new technologies have on people’s lives – the power to dramatically change people’s levels of productivity or their standard of living. To contribute to that would be incredible. Plus, I love to work with my hands. In my basement, I have a room that’s just for me. Even my wife and kids aren’t allowed in because it’s a mess. I have all sorts of things in there, like a whole collection of old brass telegraph keys that are anywhere from 50 to 150 years old. 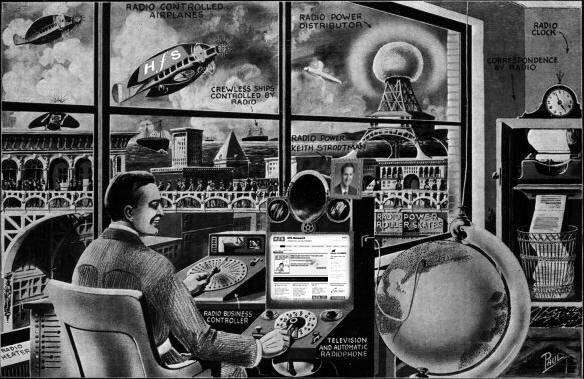 I love this period; the days of Morse, Marconi and Edison and the beginning of electronic communication. HfS Research: And finally, being one of the youngest CEOs on the Nasdaq today, what advice do you have to many of us forging our careers in today’s services industry? Are the core traits of success today different than they were 5 years’ ago? Francisco D'Souza: In my mind, the key to success is the same for anything you do – dedicate yourself to something you love and don’t be afraid to take risks. If it feels like work, or if you are not passionate about what you’re doing, you won’t have the energy to put in the time and effort needed to be successful. HfS Research: Frank, thanks for your time today - we look forward to sharing this discussion with our readers. If Sigmund Freud was alive today, you might just find him at a sourcing trade show avidly observing some unique quirks of human nature. And when considering his conclusions, you'd likely find him deep in discussion with HfS contributor and part-time behavioral psychologist from SourcingChange, Deb Kops. All weekend a parody of the 60’s song, “Going to the Chapel and I’m going to get married,” was tripping through my head as a result of spending a few days at an industry meeting complete with the proverbial “exhibit hall.” With so much time and resource spent in order to get the seller’s name out. I can tell you what I took away—dishwater coffee and a few logo’d pens, rubber ducks and thumb drives. What did they get? Think of a trade show in any industry and the same elements come to mind—booths chock a block with graphically glowing descriptors, a great array of giveaways, a tray of chocolate, the proverbial “drop in your business card and win a Kindle,” bowl, and even in this day and age of online collateral, a few brochures declaiming leadership. As it’s high season for expos, weeks, summits and what have you, it’s clear that the outsourcing and shared services industry hasn’t veered away from this recipe. 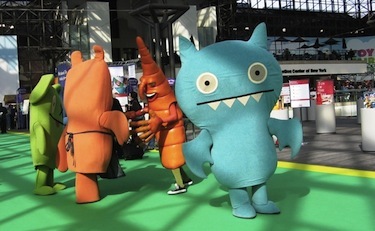 With exhibitors keen to get prime booth real estate while sponsors happily take their money, it’s a good time to ponder whether spending all that dosh really moves the dial on brand. Some of us trip through the hall only to register, while others religiously show up during breaks for muffins and popcorn. Some use the hall as a meeting point, while others traipse around each booth for the giveaways which go down so well with the kids we left at home. And perhaps even a few of us are sincerely interested in finding out more about Outsourcing-R-Us, or the advantages of locating a center in Trans-Mesopotamia or even the latest and greatest software that depreciates widgets automatically. But do exhibitors gain brand by setting up? And do we give them the attention they expect to get? The biggest issue in today's sourcing industry is the need for a truly independent and high-value environment for sourcing and outsourcing practitioners to collaborate and share knowledge. The type of environment where buyers and industry folks can meet with each other, share their pain and success, access research, knowledge and data, and have the coaching, education and the advice they need to help their organizations cope with one of the most complex issues facing them today - how to source value from their global business operations. At HfS, we've been micro-focused on helping the sourcing industry get past the puff and fluff to help them access and share research, knowledge and best practices, ideas and views. 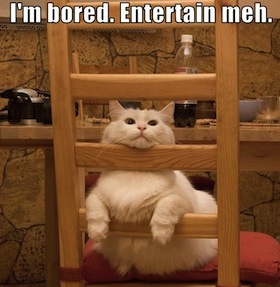 Oh - and have a bit of fun at the same time. 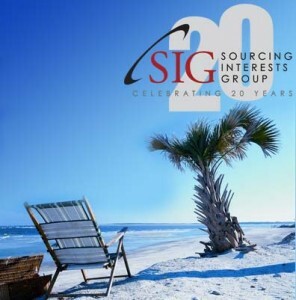 Today, we are delighted to announce an exclusive industry partnership with the premier membership organization that has served sourcing and outsourcing professionals from Global 1000 companies throughout a 20-year history: the Sourcing Interests Group. 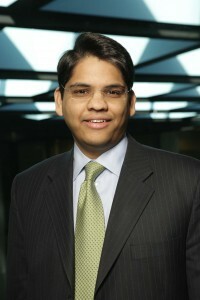 Cognizant had an unprecedenced growth spurt in 2010, attaining annual revenues of $4.59 billion - up 40% year-over-year. We have arrived at the growth peak of offshore IT services, and Cognizant has led this acceleration coming out of the Recession. Things have certainly kicked on since we talked with President and CEO, Francisco D'Souza, a couple of years' ago, and what's alarming for the rest of the industry, is that "Frank" (as Francicso tends to be called these days) isn't resting now. The company has provided guidance for 2011 predicting revenue growth of at least 26% - and this is a firm that tends to stick to the conservative side of its financial predictions. HfS Research: Frank, firstly, congratulations on such a barnstorming financial performance – and over such a prolonged period of time. What’s the “secret sauce” you can share with our readers? Is it all about focus on revenue growth and account management, or are there other critical elements to achieving such prolonged financial success? Francisco D’Souza: Thank you, Phil, and congratulations to HfS Research for a great inaugural year and to you on being named Analyst of the Year. So what on earth does the future hold for sourcing advisors? Can we still keep our sourcing advisors busy? Last week's outsourcing advisory bombshell wedding between KPMG and EquaTerra may well prove to be a turning point in the way buyers are serviced in the future. Management consultants need to have deep experience, knowledge and data on the operational guts of outsourcing, while boutique advisors need to offer a much broader consultative value proposition for clients who are tackling global operational issues. HfS' Esteban Herrera, himself a veteran advisor and consultant prior to venturing into the analyst community, asks the question that many of you raised after last week's announcement: So what on earth does the future hold for sourcing advisors? KPMG’s acquisition of Equaterra has raised a lot of questions about the future of the advisor business. I, for one, have been forecasting the demise of the traditional advisor model (which, by the way is how I have made my living for the last decade) for at least five years, and the consultants stubbornly prove me wrong by staying in business and acquiring new clients.